Mark Nodea is one of the most exciting artists of his generation in Warmun. Informed by the oral histories and culture of his Gija country and the contemporary environment, his works are bold, strong and deep in character. As a child growing up in the 1970s and 1980s Mark was schooled in the two-way learning, founded by renowned Warmun artists including Queenie McKenzie, Hector Jandany, Jack Britten and Rover Thomas at the Ngalangangpum School, which saw the beginning of the Contemporary Art Movement in Warmun. This two-way education gave Mark a strong grounding in Gija language and culture, alongside western education, which informs his practice today. 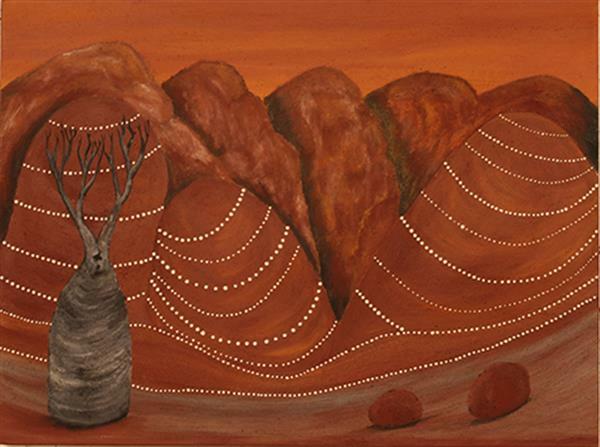 Mark paints his mother, artist Nancy Nodea’s Ngarrgooroon country which extends around Texas Station and down South to Purnululu. In 2001 Mark produced a design for a limited edition silver dollar commemorative coin for the Royal Australian Mint, which featured a fleet-footed bounding Kangaroo. The Royal Australian Mint has only released 10 such coins since 1983. 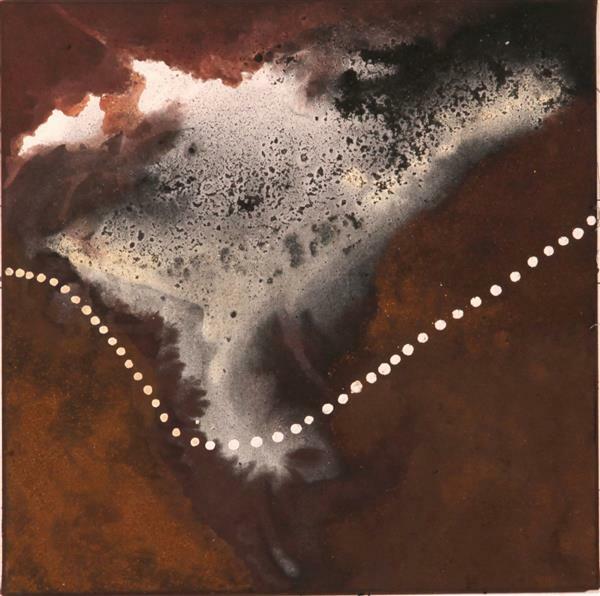 In 2013, Mark was awarded the City of Greater Geraldton Award for Excellence at the 2013 Mid-West Art Prize.